Ingram, the founder/CEO of VA-based executive search and IT staffing firm Capital TechSearch, probably sleeps better now. The company’s revenues increased 63% in 2008, earning it a place on the Inc. 5000 list of fastest-growing private companies—the second time the company had been honored. He didn’t have the right book, because the market didn’t offer him one. So Ingram proceeded to do what entrepreneurs do best: He created the product. The book, released in late September 2009, presents fifteen real-life business challenges, many from Ingram’s own experience. He covers the story, implications, and resolution of each challenge in every chapter of the book. At the end of each chapter, he presents readers with a short list of questions to help them work out similar challenges in their own companies. 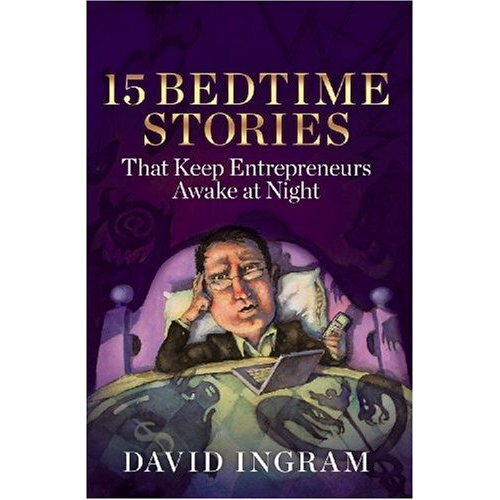 Essentially an advice book, 15 Bedtime Stories covers important lessons that every entrepreneur growing a business from a startup to a platform (self-sustaining) organization should know. Each chapter presents a real-life business challenge, from cash flow to ethics. The human resources-related chapters were especially strong. This is not surprising, given Ingram’s industry focus on people. One of the book’s most endearing qualities is its frankness. Ingram isn’t afraid to address the thorny stuff. One chapter recounts Ingram’s friend John’s experience of choosing to implement company health benefits after heavy deliberation. Soon afterward, John hired an employee who was diagnosed with cancer the same day the company brought him on. Another chapter tells the story of how a company’s top sales performer brought the rest of the team down, confronting the CEO with a difficult firing decision. Ingram doesn’t gloss over things, but he doesn’t discourage you, either. In fact, he encourages you to learn from his mistakes rather than making those same mistakes yourself. His detailed descriptions and resolutions of business issues make the book a valuable reference source. Ingram could easily compile a longer book of lessons, for entrepreneurs to keep around as a desk reference. If you’re curious about entrepreneurship, in the midst of it, and or just looking to improve your general business-running skills, 15 Stories is for you. Even seasoned vets can learn something from this fun and valuable book. Business Pundit recommends it. Starbucks’ VIA Instant Coffee: A Potential Hit?